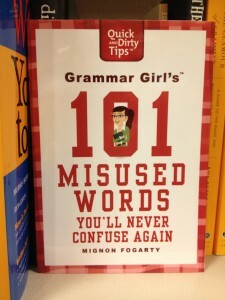 Grammar Girl is both online and in bookstores; stop abusing your word choices and get some help! This week, the By All Writes blog is back to grammar tips with a seriously trippy homophone, as suggested by Tobi Schwartz-Cassell of Girlfriendz Magazine. Snappy humor, clever examples in the form of sentences, and links to helpful (and sometimes eclectic) sites all follow. By the end of this grammar-centric blog post, you will know how to use the following words correctly: their, there, and they’re! Their Is a Most Demonstrative and Possessive Pronoun: According to my trusty Merriam-Webster, the word their means “…of or relating to them or themselves [especially] as possessors, agents, or objects of an action.” In other words, it indicates possession of something or someone. Hopefully, their isn’t a jealous control freak! If There Is a Word with Multiple Personalities, It’s There: My dictionary lists four separate entries for the word there (scary)! It can represent a physical place or abstract point in time, be used as an interjection for emphasis, introduce a sentence or clause, and so on. The word there can drive you crazy, but it’s not possessive, and it most certainly isn’t a contraction. They Are the Proud, the Few – They’re Contractions: The word they’re is merely a blended version of ‘they are’, and therefore, a contraction. This word usually functions as a subject or object in a sentence. It gives itself away through proper use of an apostrophe to denote the wedded bliss of two no-longer-single words. And now for some examples: I’m not sure what those people wearing Google Glass headsets are doing here, but I’ll wager they’re from Mountain View, California. They’re closing the local Apple store early today, so if you want to play with an iPad for free before dinner, you’d better get going. There you have it – another word phobia crushed like an escapee fruit fly from your high school biology lab experiment. If you’re still a wee bit unsure of proper usage for this set of tricky homophones, here is some additional help for your bookmarking pleasure. What grammatical mountains would you like me to help you scale next? 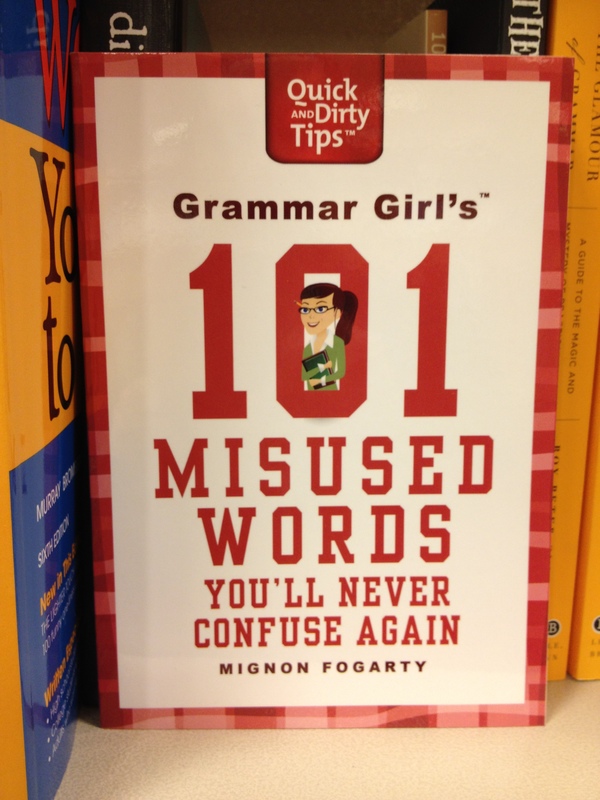 Don’t hold back – if you have the will, I have the ability to make grammar fun (and funny). I clicked on your blog link from FB to read your take on their/there/they’re and was pleasantly surprised to see that somehow I contributed to this idea. I don’t remember doing that, but I’m happy to have helped contribute to another worthwhile blog post. Thanks for reading and commenting – it’s almost too much online love for me to handle in one afternoon!